Those of us who have a family member with Asperger’s, or who work with people who have Asperger’s Syndrome, are relatively familiar with all it entails. I say ‘relatively‘ because there is no clear-cut definition of Asperger’s; nor is there a definitive list of signs, symptoms and behaviours. This is the statement I remember most when I was about midway through the jungle of testing and interviews that make up getting a diagnosis for Autism Spectrum Disorder. I cannot remember who said that to me, but never was a truer statement uttered. Yes, there are similarities, but just because the boy in my class who has Asperger’s exhibits a certain behaviour, doesn’t mean that Geordie will also exhibit the same behaviour. I know that now. When you think you understand, when you think you know how he will react, it will change. People who don’t have Asperger’s all have different personalities and behaviours. People who don’t have Asperger’s have been known to react differently at different times to the same thing; to change the way they do things; and to change the way they behave. So, what is this Asperger’s? 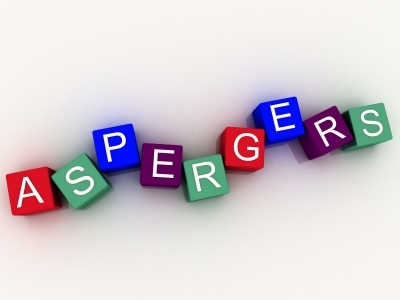 If you haven’t been touched by Asperger’s in some way, chances are you may have heard of it, but you don’t really know what it means. The concept of Asperger’s is extremely hard to explain. People’s reactions are varied and don’t always match their perceived knowledge. A previous teacher, who professed to understand how to ‘deal with’ ASD behaviours, frequently referred to Geordie’s jumping and flapping movements (an uncontrollable behaviour, borne out of anxiety in Geordie’s case, and sometimes called stimming) as ‘he won’t stop flapping around’. I often hear colleagues and associates, most of whom don’t know about Geordie’s diagnosis, describe children who are behaving in ways we don’t expect as ‘he’s SO on the spectrum’ or ‘she’s so spectrummy‘. These people are neither ‘good’ nor ‘bad’. In Geordie’s words, people either ‘get it’ or they don’t. It’s a mere statement of fact without an underlying judgement. Understanding Asperger’s is hard. We get it. If you would like a brilliant, inspirational site to go to for more information, try this one by Sue Larkey. 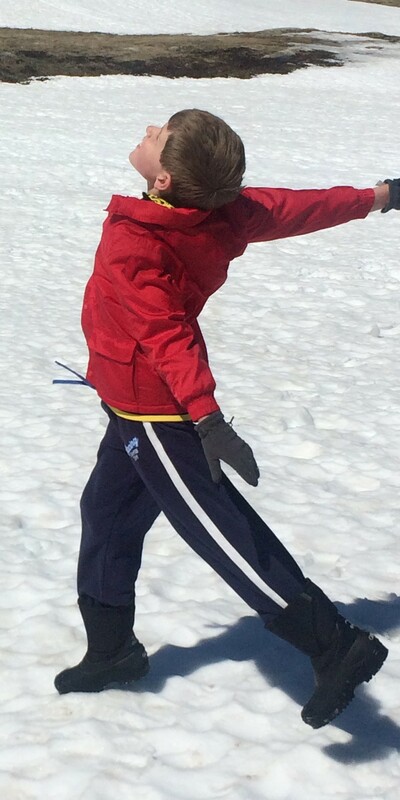 Geordie trying to catch a snowball. 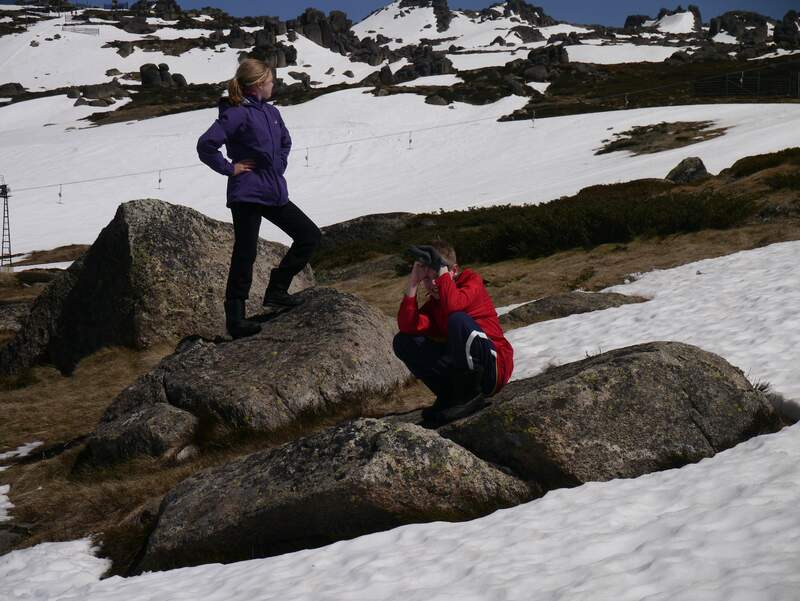 We have just had a three day stay at Thredbo. 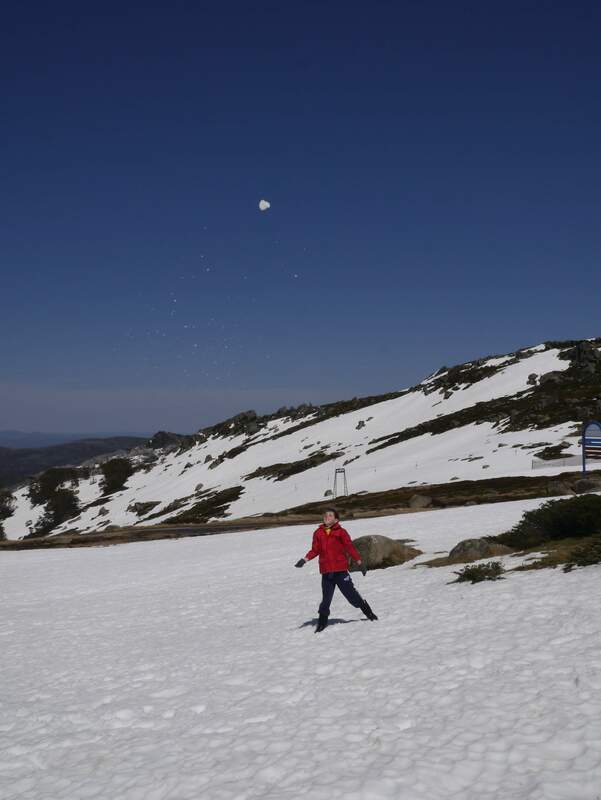 We arrived right at the official end of the ski season, so there were no crowds but still enough snow to make snowballs. A win in both camps for Geordie. It was only the second time we have been ‘to the snow’; the first being two years ago. As I stood watching Geordie throw snowballs and slide around in his hired snow boots, the differences between our last visit and this one slowly began to dawn on me. We had done all of this before! Geordie knew he would have to hire snow boots. He knew they were heavy and uncomfortable and might give him blisters. But this time it did not take 15 minutes to convince him to leave them on. This didn’t mean he enjoyed wearing them, but he tolerated them. Geordie knew how high the chair lift went. He still had a ‘white knuckle’ grip on the way up, but he wasn’t shaking and anxious waiting for our chair to arrive. Ashlea and Geordie mid pose. Geordie knew that the snow would make him wet and uncomfortable. He knew that if he didn’t wear gloves he wouldn’t be able to make snowballs for very long. He didn’t enjoy the tactile sensations of the snow, or of wearing the gloves, but he put up with them because they were known sensations. All in all, our trip up the mountain was relatively stress-free compared to our first time; I knew it felt different, but it took a while to work out why. The anxiety caused by the unknown was gone. Standing on the mountain, being buffeted by the wind and shifting around on my freezing feet (I should have hired snow boots too), I thought about how important it is to appreciate the little things. Wearing new or different clothing. Experiencing unfamiliar smells, sounds, sights and textures. Sleeping in a different bed, showering in a bathroom with different taps, eating off plates that aren’t yours. These are all ‘little things’ for many of us, but they are HUGE for Geordie. However the ‘little things’ can, and do, become familiar. And when they do, instead of not noticing them, we should celebrate them. I have just finished editing the eulogy for my grandfather’s funeral. I also wrote a poem – which, in a small way, has helped me to deal with the part of me that has died along with him. I have decided to share this poem, and the one I wrote for my father, on this blog under the other writing tab. Anyway, as I was writing, tears were streaming down my face, to the point where I could not see the computer screen. I got up and went into the kitchen to compose myself. Geordie came and stood right next to me. Just stood there – close. He knew. In fact, he is the only person who really knows how to comfort me. I had planned to write about how Geordie deals with death in a much later posting, but this recent event has made it so much more relevant to do it now. Geordie’s first experience of a death was when his dog, Pearl, passed away. Geordie was only 5; we were relatively new to the Asperger’s diagnosis and had no idea what to say or how to help him cope. He gave her a pat, commented that she was cold and asked where she would be buried. To some, this may seem callous, but he was sad and still talks about Pearl. It was just his way of dealing with it. Then, three years ago, my father passed away. Geordie and Dad were really close. Dad called him his ‘little mate’. He ‘got’ Geordie, and Geordie knew this. 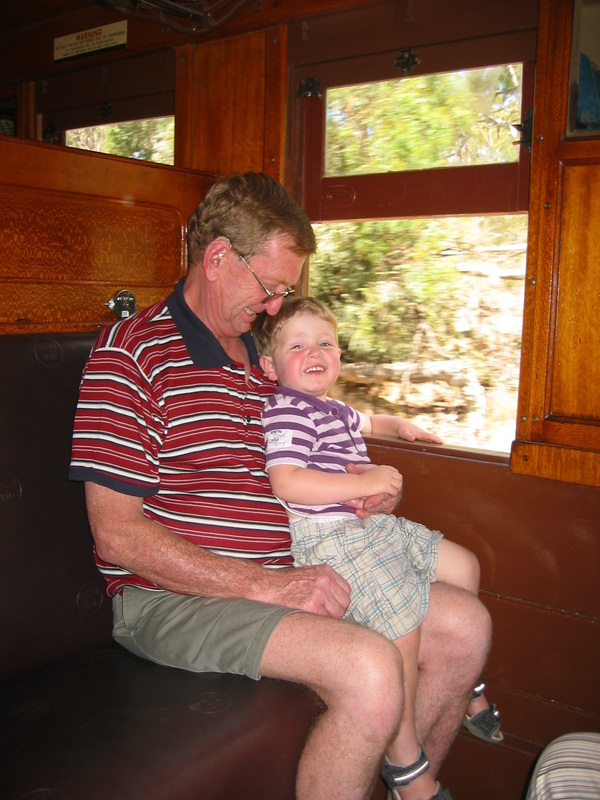 Dad’s passing was expected, he had mesothelioma, but unexpected. He died the day before Geordie’s birthday. Again, Geordie was sad. He wondered aloud why ‘Pop died just before my birthday’, then commented ‘It would have been worse if he’d died on my birthday.’ Geordie’s Asperger’s makes him always practical, always logical. But, perhaps unusually for a child on the spectrum, he is also extremely aware of my emotions. After Dad died, Geordie would spend time just sitting close to me and would look deep into my eyes, something he doesn’t normally do. If my eyes weren’t sad, he would smile and go on his way. If they were sad, he would cuddle closer. Once, he put Fifi on my lap. This was the only time Fifi has ever been involved in dealing with a death – and he was there for me. Now, just last week, on September 19, we got a call to inform us that my grandfather had passed away in his sleep. He had begun developing Alzheimer’s about five years ago and as his behaviours become less predictable Geordie started pulling away, not sure how to react. In fact, I often watched Geordie staring at Pop, searching for the man that he used to know and be so close to. So, when I told him, I could see in his eyes that he was sad, but he said nothing, just nodded. He still hasn’t said anything. At Dad’s funeral, Geordie stayed close to me and watched me like a hawk. I know he will do the same at Pop’s funeral. Everyone deals with grief and death in their own way. Geordie’s way is to acknowledge it, name it and get on with it. Maybe this is the Asperger’s speaking and maybe it’s not. However, whatever it is, I am glad that I chose not to hide difficult emotions from Geordie. This was not an easy choice, and may have backfired, but for Geordie, with his Asperger’s, it has worked.